Heinemann, 1957, Hardback in Dust Wrapper. Condition: Good — in Poor Dust Wrapper. Unlaminated dust wrapper a little edgeworn and faded with heavier fading at the spine, wear to the head of the spine and the top corners with a tape-repaired tear to the foot of the upper panel, lower panel water stained. Price Clipped. Edges of the text block lightly tanned. Text complete, clean and tight but a little age-tanned. Illustrated with black and white photographs. From the cover: “George Bishop, so long known in the worlds of the theatre and of letters that he may be regarded as a doyen of Fleet Street, has always been interested in others more than in himself. 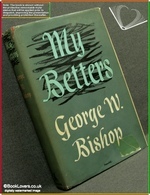 My Betters is therefore a happy, if modest, title for his autobiographical story of the people he has met. His long span as commentator and critic gives him unequalled experience and authority — as an amateur he acted with Edith Evans before she went on the professional stage; he edited The Era, the “actors’ bible”; was a special correspondent on both The Observer and The Sunday Times, and for the past twenty-five years has been on the staff of The Daily Telegraph, for twenty of those years its Literary Editor. His memories are as wide and as varied as the world of entertainment itself. They range from a visit to Sibelius in Finland to a shopping expedition in the Strand with all four Marx Brothers, from a tea party with King George V and Queen Mary to a long talk with Charles Chaplin. George Bishop is the unknown character named Deacon in George Moore’s Conversations in Ebury Street. According to Mr. Moore he was too young to be a Bishop and so he demoted him to the rank of Deacon: as such he takes his place in that brilliant war of words. 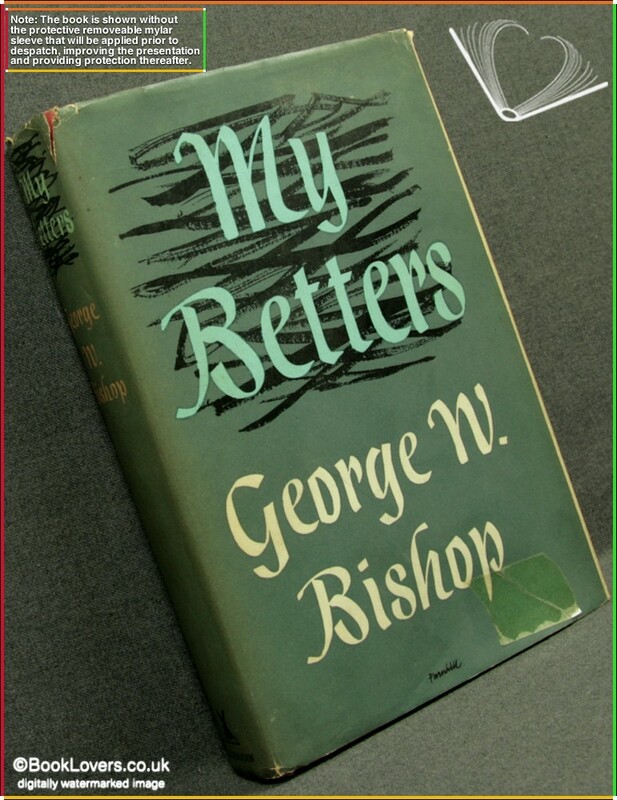 My Betters contains some remembered conversations in that room in Ebury Street, including one which George Bishop had with the great men a few days before his death. Jacket designed by Kenneth Farnhill. Size: 8½" x 5¾". Red boards with Silver titling to the Spine. [VII] 282 pages.